Since 2015, more than 1,300 lane mi. have been added to state roads and more than 2,600 non-tolled road projects worth $11 billion have been completed. As the population and economy of Texas continue to boom, state transportation leaders have taken unprecedented steps to promote the great opportunities in Texas' future while meeting and addressing the challenges of congestion, roadway safety, connectivity and the preservation of existing roads. Since 2015, the Texas Transportation Commission and Texas Department of Transportation established the Texas Clear Lanes initiative, which has led to significant strides toward improving the quality of life for millions of Texas drivers. "Governor Greg Abbott and Texas voters made it very clear that congestion relief around the state is a key priority to meeting the demands of our rapidly growing population and booming economy," said J. Bruce Bugg Jr., Texas Transportation Commission chairman, "In our efforts to execute on that Texas voter mandate, we directed more than $24 billion toward congestion in our major metropolitan areas as part of the approved $75.4 billion Unified Transportation Program over the next 10 years; our ‘construction budget' is the largest funding package in Texas history. Explosive growth presents opportunities the size of Texas but requires unprecedented action, and we look forward to meeting the needs and demands of our growing state." A historic $3 billion worth of road project contracts approved during June, July and August of 2018. Nearly $8 billion in approved road contracts for fiscal year 2018. On average, Texas is growing by about 1,100 people each day. To meet this growth, Texas Clear Lanes addresses congestion in the Houston, Dallas, Fort Worth, San Antonio and Austin areas, which are home to 65 percent of the state's population and 92 of Texas' Top 100 congested roads. 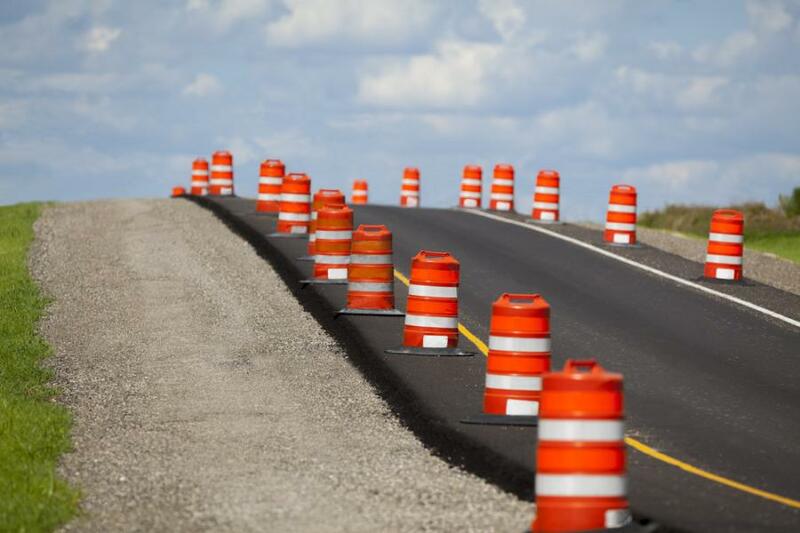 Of the approximately 30 identified Texas Clear Lanes projects, two have been completed and 16 are under construction. Some of those address traffic in the top 20 chokepoints around the state. Others are included in the 10-year plan. Also, a key priority for the Commission and department is addressing safety and roadway improvements in the energy sector. Over the next decade, the Transportation Commission has directed $3.4 billion to make repairs and improve roads in the energy-rich Permian Basin. Since 2016, nearly $1.8 billion has been invested in safety and infrastructure improvements in the Permian Basin. On the topic of safety, there is much improvement ahead of us around the state, though recent statistics are noteworthy. Safety education and awareness are vital aspects in affecting driver behavior. And that commitment is starting to show. From 2016-2017, we saw 70 fewer fatalities on Texas roads. Bicycle and pedestrian fatalities decreased by 10 percent. The Commission continues to make substantial investment in education, training and awareness as we try to make Texas a safer place to work and live. In addition, safety is a key factor in scoring and ranking projects for inclusion in TxDOT's 10-year plan. "While there is much work to do ahead of us, I am proud of, and always want to thank, the hardworking men and women of TxDOT for the momentum we have established and plan to execute on," Bugg said. "Transportation touches the lives of every Texan, every day, and there's no time to wait as we deliver on our commitment to keep Texas moving forward."